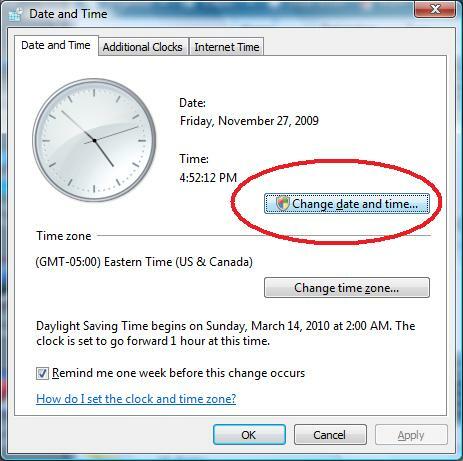 This is a brief tutorial on how to change your computer's time and date. This is typically ignored by most computer users. 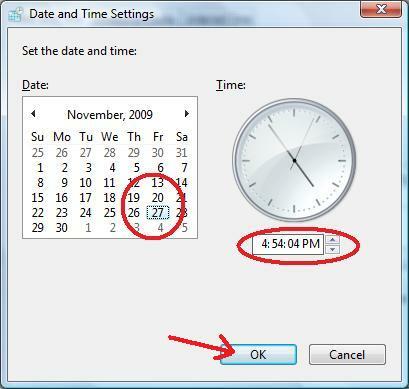 However, keeping correct date and time is very important for certain applications. It is crucial in keeping all files in proper order as every file is time stamped at the point of creation, revisions, read and accessed . Begin by left mouse clicking the time in the bottom right hand corner of your screen. 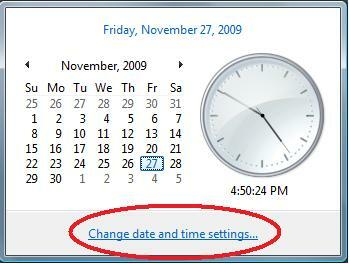 In the following screen that will appear, click "Change date and time settings…"
In the following screen click "Change date and time…"
You will then be prompted for permission to "Continue" or "Cancel", choose "Continue"
Now simply select the date or month by simply clicking on them and choose the date accordingly. You can click on the arrows on either side of the month to go to the next month or previous month. Then change the time by selecting the hour, minutes, or AM/PM and use the arrows next to the time to adjust to the correct time. Be sure to select "OK" for the settings to take place. 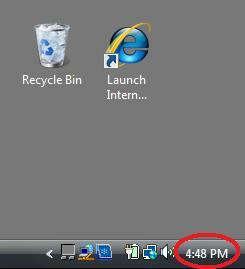 For older versions of Windows click on the next picture for clock changing instructions.